My younger brother has been chosen for the prestigious, secret magical school hidden within the folds of ou You Don’t Choose The Academy. The Academy Chooses You. To ask other readers questions about Shadowspell Academy, please sign up. Does anyone know if this book will also be released in audiobook? Mix Maze Runner with Mulan and you get this. Kinda. Wild is a not so average farm girl looking after her family after her brother and mother have died leaving her with a crippled father and 2 younger siblings to look after. Along comes a spider with an “invitation” for her little brother to attended the school her older brother died at. What else can a big sis do except shave her head and take his place. The school is for s Mix Maze Runner with Mulan and you get this. Kinda. The school is for supernaturals where the weak are culled in a series of games/trails. 5 trails for each of the 5 houses, this book focus only on the first. The fact she’s a girl in hiding doesn’t really play a massive part. In fact she’s terrible at keeping it quiet, but I do like the Mulan type scenarios, they are always a favourite of mine! 100 other people have probably already said this but it’s too short! 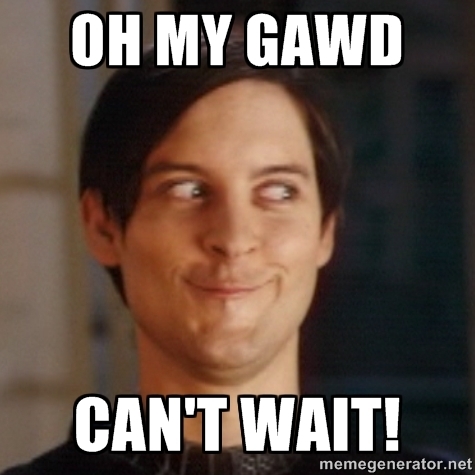 I’m just thankful the release dates are set for May and June already so we don’t have long to wait. You can see the formula taking shape. One trial for each book. The Culling Trial is one of the best books I have had the pleasure of reading. It was everything and more. I usually shy away from fantasy books that don’t have romance in them but everything in this book was perfect. Everything fell into place and worked beautifully. Wild is the female protagonist in this book. An invitation recently arrived for her younger brother. It is to The Culling Trials that is very dangerous and is something they cannot ignore. Wild, fearing for her brother’s life takes The Culling Trial is one of the best books I have had the pleasure of reading. It was everything and more. I usually shy away from fantasy books that don’t have romance in them but everything in this book was perfect. Everything fell into place and worked beautifully. Wild is the female protagonist in this book. An invitation recently arrived for her younger brother. It is to The Culling Trials that is very dangerous and is something they cannot ignore. Wild, fearing for her brother’s life takes his place in the trials by disguising herself as a boy. She is going into a world that she didn’t know existed. Everything is dangerous and difficult but she is loving the thrill of it. She is introduced to new people who clings to her and soon friendships form. In order to survive they all have to work together. 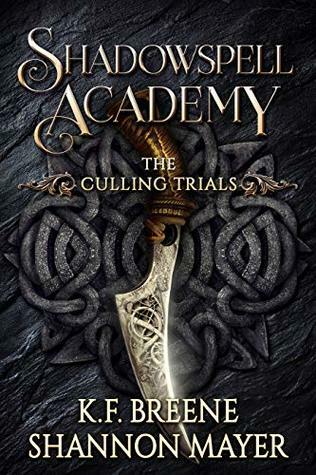 The Culling Trials is the first book in the new Shadowspell Academy series by Shannon Mayer and K.F. Breene and it's kind of a cross between Harry Potter and Maze Runner with a hint of Mulan thrown in for good measure. We're introduced to main character eighteen year old Wild who has been helping to look after her family since her mother was killed and her father was badly injured. A few years ago her brother received a mysterious invitation to the Shadowspell Academy and although he passed the The Culling Trials is the first book in the new Shadowspell Academy series by Shannon Mayer and K.F. Breene and it's kind of a cross between Harry Potter and Maze Runner with a hint of Mulan thrown in for good measure. We're introduced to main character eighteen year old Wild who has been helping to look after her family since her mother was killed and her father was badly injured. A few years ago her brother received a mysterious invitation to the Shadowspell Academy and although he passed the trials and won himself a scholarship he died in strange circumstances not long after starting school. Now an envelope has arrived for her younger brother Billy, only this time the invitation includes threats that if Billy doesn't attend the Culling Trials the whole family will be killed. · I was hoping for a little romance but that's just my personal preference. According to K.F. Breene, that will change in the upcoming books and I'm looking forward to it! · Wild was too composed and casual for an 18-year-old who discovered magic for the first time. She also never really struggled throughout the Trial and it felt like she was always ready for everything that came her way. I mean, I love smart, strong and fearless heroines but she just showed too little emotions for me which made it hard to connect. She was just too perfect. That being said, I still loved the setup of the story very much. It was a gripping and entertaining and I'd love to know more about the secondary characters, especially Wally. She was the one who added a little humour to the story that I'm accustomed from a K.F. Breene book (I don't know about Shannon Mayer because she's still a fairly new author to me but I guess for them to write together has to mean that they at least share the same sense of humour somehow 😉). I am in love! You can fall in love with a book, right? "Shadowspell Academy: The Culling Trials" is the work of two of the best paranormal romance authors in Kindle Unlimited, Shannon Mayer and KF Breene, and it is awesome! Fantastic pace, great heroine written really strongly, wonderful world building with lots of mysteries incorporated, and the tension is magnificent. Bit of a cliffhanger ending. I've already marked the date for the next two books in the trilogy. I'm not a massive fan of YA/NA, but this was too good of an opportunity to pass up - very glad I read it too, as it was really good - a mixture between Hunger Games / Maze Runner / Divergent / Harry Potter, if this is up your street then this will be the series for you! Wild is a strapping girl working hard on her dad's rural farm, boring, plain, normal are her everyday, looking after her failing dad and younger twin siblings. Until a stranger with a letter arrives for her younger brother invitin I'm not a massive fan of YA/NA, but this was too good of an opportunity to pass up - very glad I read it too, as it was really good - a mixture between Hunger Games / Maze Runner / Divergent / Harry Potter, if this is up your street then this will be the series for you! Wild is a strapping girl working hard on her dad's rural farm, boring, plain, normal are her everyday, looking after her failing dad and younger twin siblings. Until a stranger with a letter arrives for her younger brother inviting him to take part in the Culling Trials for The Academy. Not much of an invite really, it was either come or your family dies. Wild has already lost an older brother to this exact same thing already and isn't about to lose another one. So she steps up and takes his place, hopefully saving her family in the process. She hasn't a clue what she has let herself in for, but it turns out that magic is very real and she is now part of a world she never knew existed. Lots of action and adventure, its fast paced and Wild meets a lot of new and interesting characters along the way, friends and foes alike! She's smart, strong and runs with her gut feelings, not afraid of taking chances and doing what needs to be done. The crew that forms around her are all different with very individual skills and magics, all working together trying to form one unit in order to get them through the trials. Two great and memorable authors equals one outstanding book - and begs for another! While the blurb does this plot justice, there is far more to it than those few words can convey. Wild is a strong and able character that quite literally carries the narrative and sets into motion the startlingly events that lead to, and encompass the first of the culling trials. She meets new friends, finds new foes and dusts the dirt off a past she knows nothing about. But when it comes to her Two great authors! Two great and memorable authors equals one outstanding book - and begs for another! While the blurb does this plot justice, there is far more to it than those few words can convey. Wild is a strong and able character that quite literally carries the narrative and sets into motion the startlingly events that lead to, and encompass the first of the culling trials. She meets new friends, finds new foes and dusts the dirt off a past she knows nothing about. But when it comes to her family, this girl will do anything. First person, single POV YA urban fantasy with academy appeal. - Inventive and fully fleshed, though the world building will obviously continue through the next books. - Narrative Flows easily from scene to scene. - Humor, wit and danger galore. - Nope, no cons. Loved it. I'm remembering how awesome a mash-up between Harry Potter and the hunger games would be, Shadowspell Academy hits every mark and so much more. A strange man with stupid sideburns, mysterious threatening letters, magic, and mystery surround the academy but can they be ignored? Is Sideburns good friend or bad friend hmmmmm this was a question I'm still wondering about which makes me excited for book 2. Fantastical, fantasy wrapped up in mysterious mystery… Shadowspell Academy where all your magical dreams come true and maybe some nightmares too. Wild and Wally, what a team, I do the Pete as well the rest I'm not sure yet. The House of Shade… A very cool name for a magic academy. Dramatic much 'doomed to a life as a lesser…' seriously bwahahahaha, now that’s funny. Freckles crack's me up, especially when he screeches at Wally. Great start and set up for the remaining two books to come. My biggest complaint: it wasn't longer. My favorite thing: it isn't your typical academy series, thank goodness. Leave it to KF Breene and Shannon Mayer to take the academy trope and twist it on its head. If you haven't read this one yet I strongly encourage you to do it. The concept isn’t unique but this book was a decent set up to a series with some potential. I’ll read book 2 when it’s released in May 2019. Shadowspell Academy: The Culling Trials by K.F. Breene and Shannon Mayer is an exciting, unique YA adventure. The heroine is Wild, a girl impersonating a boy after her younger brother, Billy, receives an invitation to a secret magical school (the same school her older brother, Tommy, died at a couple years earlier). At first, the synopsis sounded a bit Harry Potter-ish, but after reading this first installment, I have discovered that this is an original story all its own. The protagonists are Shadowspell Academy: The Culling Trials by K.F. Breene and Shannon Mayer is an exciting, unique YA adventure. The heroine is Wild, a girl impersonating a boy after her younger brother, Billy, receives an invitation to a secret magical school (the same school her older brother, Tommy, died at a couple years earlier). At first, the synopsis sounded a bit Harry Potter-ish, but after reading this first installment, I have discovered that this is an original story all its own. The protagonists are interesting and well-developed. It is a tad confusing at the start, but that clears up real quick. It's an interesting, engrossing story suitable for teenagers through adults. This book snuck up and completely blew me away. I was totally not expecting to enjoy this so much, in fact be glued to every page until the last. Not being a fan of the hunger games or school/teenage drama, the action, maturity, humour and sheer compelling writing style was utterly compelling. I should have trusted in two wonderful authors, the reason I had this book in my hands in the first place. So if you're thinking it's a departure from their usual style, do not fear, they haven't let us do This book snuck up and completely blew me away. I was totally not expecting to enjoy this so much, in fact be glued to every page until the last. Not being a fan of the hunger games or school/teenage drama, the action, maturity, humour and sheer compelling writing style was utterly compelling. I should have trusted in two wonderful authors, the reason I had this book in my hands in the first place. So if you're thinking it's a departure from their usual style, do not fear, they haven't let us down. Shadowspell academy is very well written, the characters are well developed and the scenes draw you right in to the book. The story is kind of reminded me of Harry Potter meets the Hunger Games. There are a lot of original ideas and plot twists in this book. Wild is the main character and is one strong female lead. I love reading books with unapologetic strong female lead characters. Wild's older brother left for the academy and was doing well there but then something happened and he ended up de Shadowspell academy is very well written, the characters are well developed and the scenes draw you right in to the book. The story is kind of reminded me of Harry Potter meets the Hunger Games. There are a lot of original ideas and plot twists in this book. Wild's older brother left for the academy and was doing well there but then something happened and he ended up dead, now the academy is back at Wilds house and looking to take her little brother. Wild is not willing to lose another brother to the academy so she needs to think fast, because telling the academy no is really not something you can do. Harry Potter meets Hunger Games - only better! Two of my favorite authors teamed up to create a story that ended in the first book MUCH too soon! Wild is a fantastic character to become invested in, managing to be both confused, sympathetic and kick-arse all in one. A great cast of characters, intense situations and a really 'wild' ride from the beginning. OMG 😲 this is just amazing! An awesome collaboration between two fab authors that will have you on the edge of your seat! Well written and action packed with some awesome characters and an awesome addictive storyline that will leave you wanting, no needing the next book a.s.a.p! This darker take on a magic academy had me hooked from the beginning! I love the brash confidence of Wild and there was a great mix of humor and danger that made the book really fun to read! I can’t wait for the next one! I love everything these two authors write and I quickly gobble up their books. This book is about Wild and her need to protect her brothers by going into the Culling for Shadowspell Academy. This book tells about Wild growing up with her family and not knowing anything about the magical world. When she finds her brothers packet on the table she decides to protect him and goes in his stead. Her older brother Tommy, died going through the culling and she won’t lose more of her family. I'm in the minority but I just can not get into this book. I think the biggest problem is the parent withholding vital information troupe that the plot depends on in the beginning. Then you go immediately into a survival situation but reasons. I'm going to stop at halfway and move on to something else. Very intriguing and spell binding book. I couldn't stop reading it. reserving judgement until the next. This was a very short story. What an exciting ride this first book was! Love these 2 authors separately and was not surprised to see how well they write together. A young woman does all she can to protect her family and jumps head first into a world of magic that she knows little to nothing about. And we get to discover this new world along with her! Her new friends are quirky and everything you ask for from the supernatural realm. Cannot wait for the next book release! What happens when 2 of your favourite authors co-write a book? An epic adventure. The book flows beautifully. Great characters with an interesting story. I couldn’t put the book down. I can’t wait until the next book in the series. This book, in my opinion, lived up to the hype. I felt a little bit of the triwizard tournament in Harry Potty, and a little bit of Katniss from Hunger Games, but at the same time, it was its own animal. I thoroughly enjoyed it. I just wish it had been longer! And talk about an ending! LOL! I can’t wait for the next book to come out already. They say imitation is the greatest form of flattery. If that’s true, J.K. Rowlings and Suzanne Collins and even Veronica Roth, should be totally flattered. Either that or they should be suing for copy write infringement and part of the earnings for this book series. Young woman who is serving as a surrogate parent/provider for her younger siblings in an impoverished single parent household takes the place of younger sibling who is being forced to participate in a deadly competition. Sound famili They say imitation is the greatest form of flattery. If that’s true, J.K. Rowlings and Suzanne Collins and even Veronica Roth, should be totally flattered. Either that or they should be suing for copy write infringement and part of the earnings for this book series. Young woman who is serving as a surrogate parent/provider for her younger siblings in an impoverished single parent household takes the place of younger sibling who is being forced to participate in a deadly competition. Sound familiar? Young woman discovers her parents both had magical powers and that she too possesses magical powers. Winners of said competition are invited to enter the Shadowspell Academy. divided into multiple magic houses which represent different magical skills and personalities that often compete fairly and unfairly against each other. Also sound familiar? Like maybe Hogwarts? Even some of the characters reminded me of Harry Potter’s fellow Hogwarts students. Peter certainly reminded me of Neville Longbottom. Entitled and arrogant Ethan was an awful lot like Draco Malfoy. Perhaps if I hadn’t like hundreds of millions of others read the Harry Potter, Hunger Games and Divergent series I might find this book truly imaginatively entertaining. I liked the heroine young Katniss (er I mean Wild). And I give credit to the authors Breene and Mayer and their publisher for stating right up front that this book is sort of a Hunger Games meets Harry Potter mash up. But quite honestly as much as I’ve enjoyed the works of K.F. Breene, she and her co-author Shannon Mayer ought to be embarrassed by the lack of originality in the basis of this series where they’ve blatantly ripped off storylines and character development from these other authors imaginations. As I said the story itself isn’t bad. The more I read the more into it I got. Unresolved questions about the roles Rory and The Sandman play in Wild’s future along with who had signed the paperwork declining her own invitation to The Culling lingered and tempt me to continue with the series. But the idea that the authors had lifted and repackaged Rowling’s and Collin’s work continued to haunt me. Add to that the book really isn’t very long (153 pages) hardly more than a novella covering just the first of the five trials the candidates for the Shadow Academy must pass in order to gain entrance.